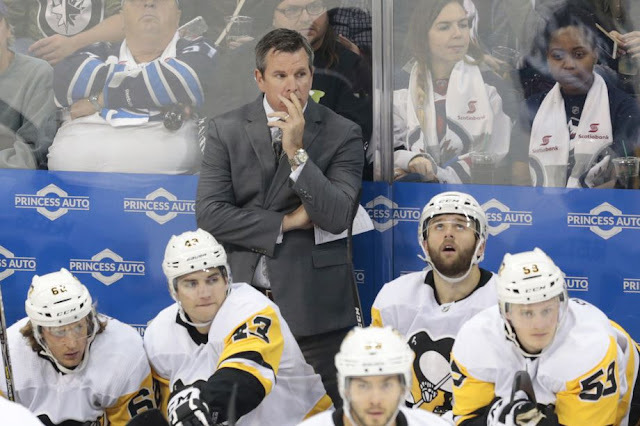 Could overall lack of team chemistry be a discerning factor on the Penguins bench? It is no secret that the Pittsburgh Penguins are suffering right now. Be it from starting the season with a daunting and abhorrent schedule, the fatigue of playing in back-to-back championships, and lack luster off season roster moves. Ineffective play and scoring droughts by key stars have also lead to the Penguins under performing in mid-November. As much as media and fans alike would like to pin point their performance (or lack thereof) on one key factor, it just isn't possible. All of the components listed above have come together to effect one another, and effect each player, differently. Sum it all up and you have one sloppy and disjointed show. There is one factor not being talked about much that I would like to hit on: chemistry. I'm not talking about the periodic table of elements, or how molecules combine to form matter. I'm referring to attitudes, emotions, and the feeling of disconnect between players and their teammates and how it reflects on the ice. From the outside looking in, one doesn't want to assume too much as to what may possibly be going on inside the Penguins' locker room or inside the players' heads. But through the magic of the internet, social media, video and audio interviews, television specials, taking some guesses or forming a reasonable hypothesis isn't that far out of line. Even less so when you figure that hypothesis may be being reflected on the ice. During the past two Cup championships, there was a real "team" or "family" feeling. Whether it was in the locker room or out at a PR event, the feeling of true brotherhood was thicker than Evgeni Malkin's Russian accent. They had fun together, both on and off the ice, even when things weren't going smoothly. When times were tough, there was still that child-like presence in the room to bring morale up. It kept the mood a little lighter so that the pressure of a rough skid wasn't so pressing on players minds. All of that seems to be missing. There is a palpable disconnect somewhere and that lack of comradely could be a factor of why things just aren't gelling together come game time. The feeling coming from the team is, admittedly, difficult to explain so I will put it the best I can: You know that feeling when you walk into a noisy room and it all of a sudden goes quiet, then when conversation continues, it's done in all hushed tones? You have a few people in one corner of the room, a group of people in another and a few just hanging out by themselves and no one seems welcome in any space so you start to only worry about yourself instead of the overall team? It's important to know that a teammate has your back in key game situations. Whether it's support on an odd man rush situation, if coverage is going to be there if one player decides to pinch, or if one player will just be positioned correctly to take a rebound feed in a scoring opportunity, knowing that your line mates and defense will react accordingly is a piece of mind any team needs. There doesn't seem to be the case right now. Everything seems disjointed, poorly thought out, and done half-heartedly. To put it bluntly, they just aren't having fun anymore. There are some that will say that it's as simple as wins and losses: winning keeps people happy and losing brings the dark cloud and, to a point, they would be correct. However, when things just can't seem to go the way everyone hoped, teams and their players can't just turtle into themselves and have personal pity parties. There needs to be that constant support for one another instead of a feeling of being in it just for ones self. One observation I recently made was when a player would try and give some moral support to another, it's like his own teammate doesn't believe him (example: when Sidney Crosby tapped Tristan Jarry on the pads in Nashville after letting in two consecutive goals). That is both sad, and concerning. Skill is what puts the puck in the net. Toughness and mental fortitude are what get a team through the grind of a season. 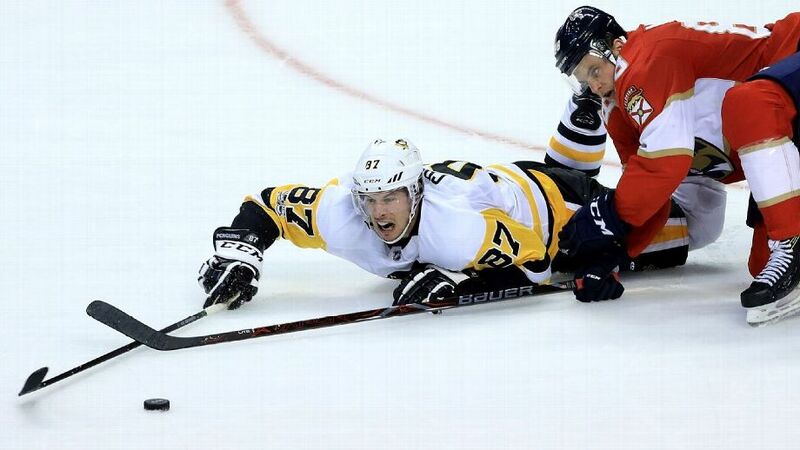 Chemistry is what makes a team, and, for right now at least, the Penguins are lacking it. Everything feels forced, and you can only force something so much before it snaps or breaks down completely. For the Penguins sake, we all must hope that whatever issues are plaguing them at the moment will work themselves out in a timely fashion before a true collapse ensues. Excellent points. Two pieces of that chemistry that are no longer here are Tocchet and Kunitz. Tocchet had a way of lighting a fire under the players. No disrespect to Recchi but I don’t get that from him. And Kunitz’s leadership missing is huge. Can’t replace that overnight. Granted some of the old chemistry is gone.The new chemistry takes time.The team is in 2nd place in their division.How is that so bad.Reading this it strikes me as being blown out of proportion.Confirm..Whereare are all your facts from as far as the players not believing another player ,not supporting etc etc.Comes across to me as fodder to start a controversy.Too negative.Just assuming is not facts..so should not be written as such.